Schizophrenia is a chronic mental disorder that is generally severe in nature. While a person may develop the mental condition at any point, it is most common for schizophrenia to manifest during late childhood. Much research related to the cause of the mental disorder is still being done, but experts believe that schizophrenia has genetic roots. Experts also believe that the condition is caused by an imbalance of chemicals and an irregularity of the firing of neurotransmitters in the brain. Studies of the brain tissue of people who suffer from schizophrenia have led researchers to believe that structural differences exist in the brain of those who have the condition. Symptoms of schizophrenia vary widely from one individual to the next and include delusions, hallucinations, disorganized thought patterns, disruptive movement, difficulty planning and enjoying activities, monotone speech patterns, difficulty speaking, problems focusing on tasks, trouble retaining information and difficulty with making decisions. Since researchers are still uncertain about the precise causes of schizophrenia, treatment methods focus on alleviating symptoms rather than curing the condition. Antipsychotic medications are typically prescribed to people who suffer from schizophrenia. A medical provider will need to determine which antipsychotic medications work best for an individual, and it is essential for sufferers to take their medication as instructed. Once a stable drug regimen has been established, psychosocial treatments may be used to help sufferers learn how to care for themselves. Cognitive therapy and group therapy are also helpful for many people who have schizophrenia. Social security disability insurance (SSDI) is an insurance policy that is paid into by every person who works in the United States. Employers withhold money from each employee’s paycheck, and these funds are then remitted to the federal government. 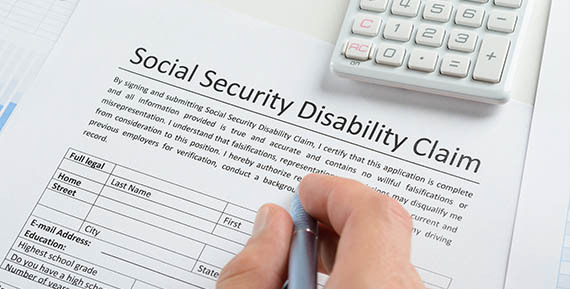 The Social Security Administration (SSA) is a government organization that is responsible for evaluating disability claims and making payments to people who are qualified for SSDI benefits. SSDI is intended to give employees a safety net in case they become disabled in the future. If a disabling condition is expected to last at least one year, a person may be eligible for SSDI benefits. Since SSDI is funded through paycheck deductions, most applicants are required to have worked a minimum of five of the 10 years leading up the date of application. This requirement may be waived when a person has been disabled since childhood. Schizophrenia is a condition listed by the Social Security Administration (SSA) as a recognized disability, but applicants are still responsible for proving that their symptoms are severe enough to make it impossible for them to work. In order to qualify for SSDI benefits with schizophrenia, an applicant must experience delusions, catatonic behavior, incoherent thinking or social withdrawal on a regular basis. Additionally, these symptoms must be severe enough to disrupt a person’s ability to perform daily tasks, maintain social relationships or focus on tasks. Applicants may also qualify if they are able to prove that their symptoms and complications are getting progressively worse. Medical evidence of disability is the most important part of the SSDI application. It is essential for applicants to regularly schedule appointments with a licensed medical provider to ensure that symptoms, complications, tests and treatment methods are all recorded. These medical records will be used to determine whether the nature and severity of a disability makes it impossible for a person to work. Applying for SSDI benefits is a tedious process that is often a source of confusion and frustration for disabled individuals who depend on being approved for benefits to make ends meet. Over half of first-time applications are denied, and the most common reason for denials cited by the SSA is a lack of adequate medical evidence. Errors on required forms can also delay approval or result in a denial, and the appeals process can take up to a year to complete. The best way for applicants to alleviate the stress and anxiety of applying for SSDI benefits is to hire an SSDI attorney. Legal professionals who specialize in these cases are informed and knowledgeable about the SSA’s requirements. Attorneys can guide their clients through the application process and are able to assist with the gathering of medical records and the completion of necessary forms. The first step to a less stressful SSDI application process is to consult with an experienced SSDI lawyer.